This included a reception area, conference room with audio/visual equipment, main office area for at least 20 employees, directors and a manager’s office. 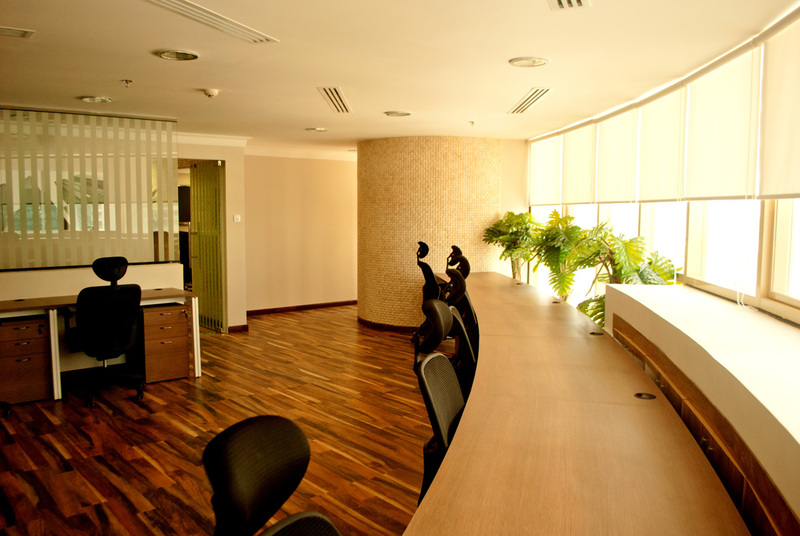 It also required furniture which included office desks, chairs, and accessories. 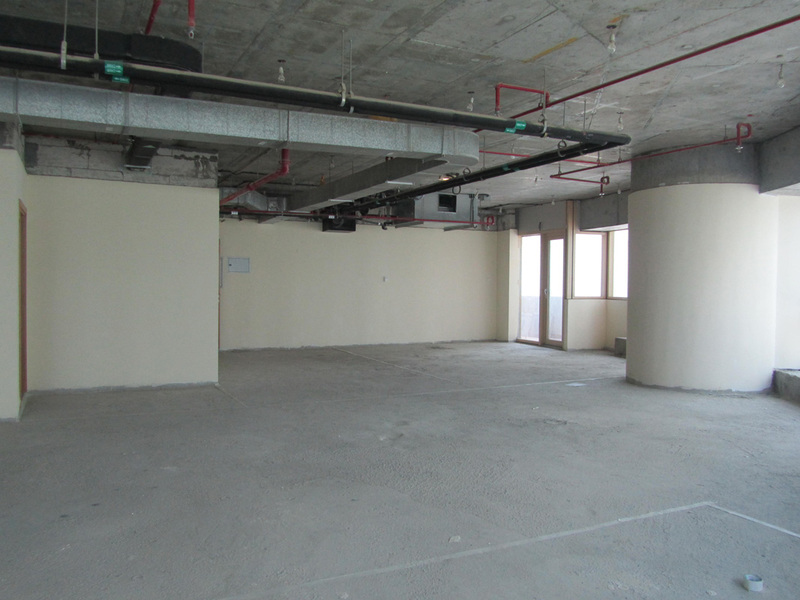 The client requested Tareen and Tareen to enlist the contractors, which included builders, electricians, and decorators. As the deadline to get the office ready was so short, the project started instantly. 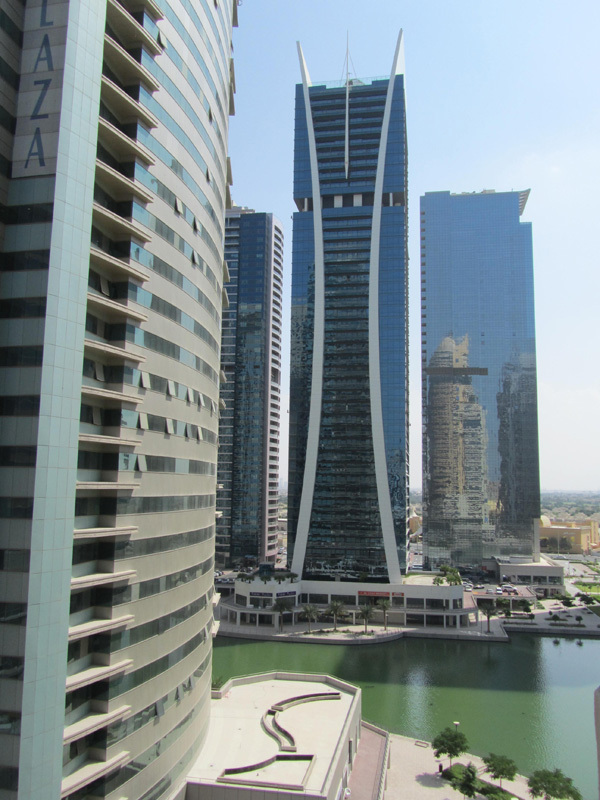 Tareen and Tareen designed the spatial layout, electrical layout, specified the furniture and accessories. 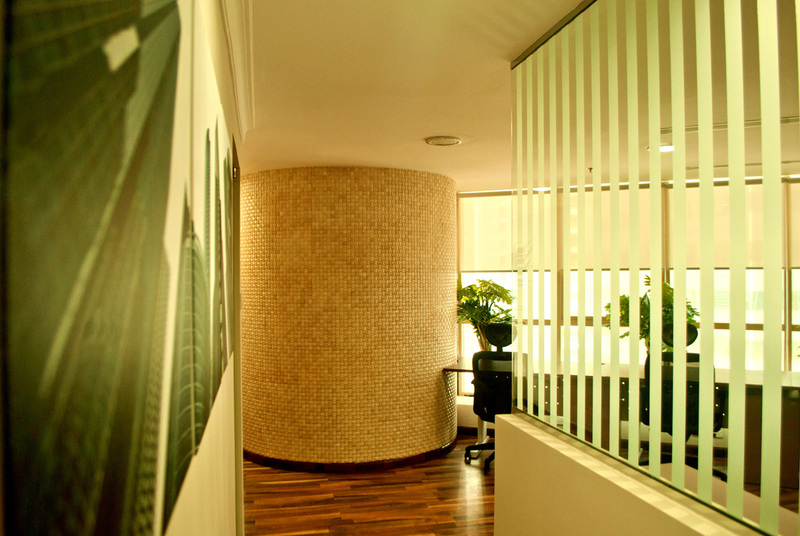 There were a few design issues; the office had a curved wall, a large pillar that could not be removed and low ceilings. 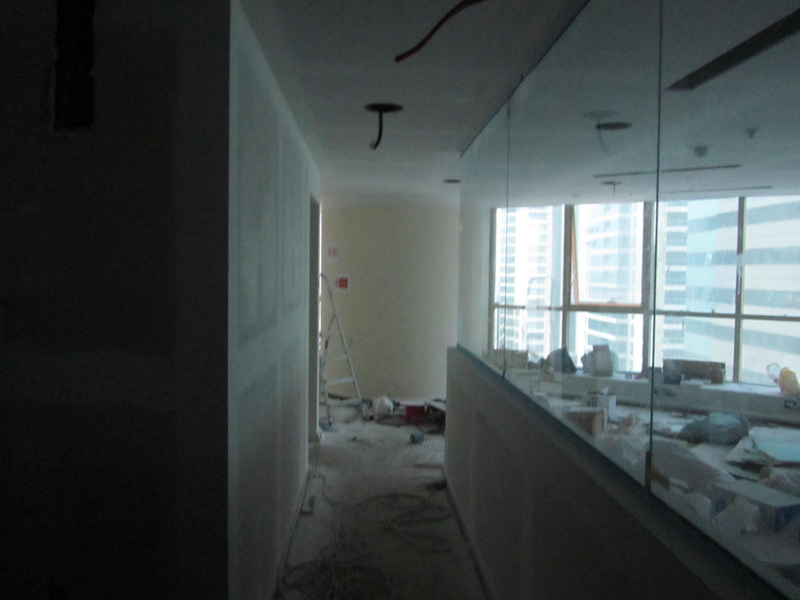 Tareen and Tareen overcame these issues by designing the spaces with half glass and half wall partitioning which allowed light to circulate through the offices, still creating privacy and allowing the ceilings to look taller. 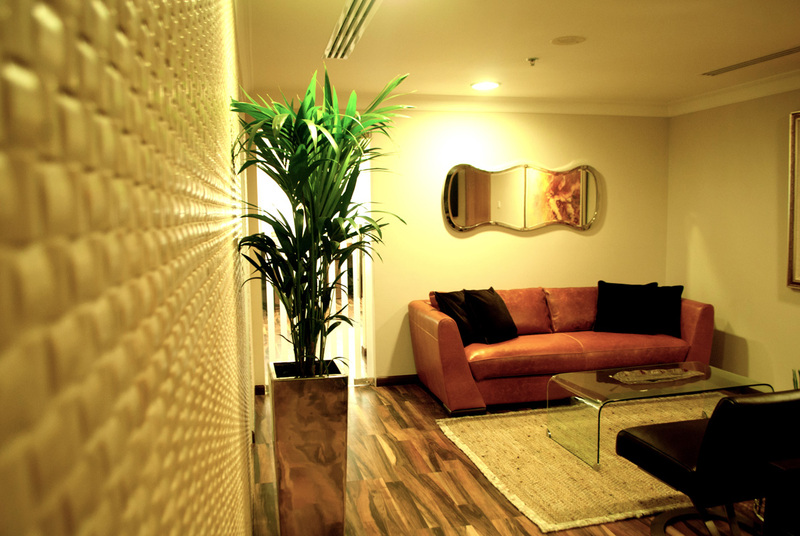 A feature was made from the large pillar by attaching textured marble tiles. 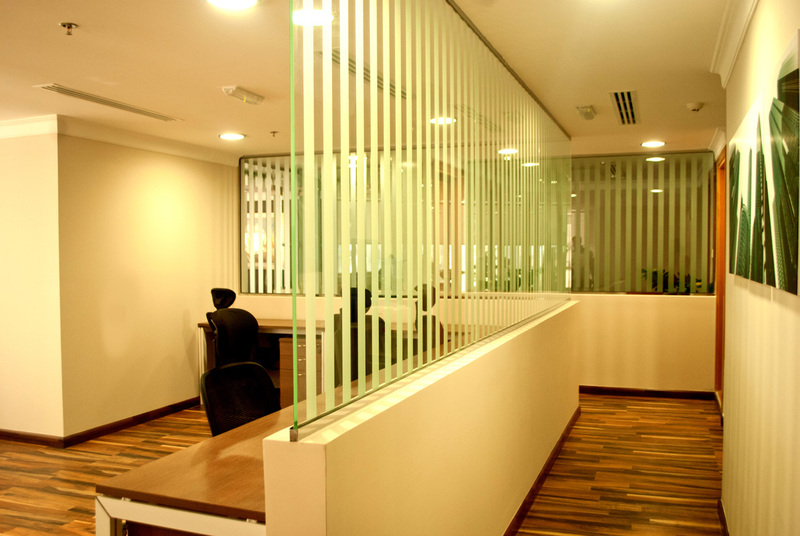 A company based in Malaysia was used for its good quality bespoke office furniture to fit around the curved wall.